I was making my way out of the Georgia woods a few weeks after visiting one of best friends from college. The drive was a few hours long, so there was plenty of time devoted to singing my heart my out. After the granuloma settled on my vocal cords, I took a break and sat in silence -- not common for a 90%+ tested extrovert. I needed time to think and pray. I have been experiencing spiritual aridity yet again, so I prayed God would give me an encounter in my dreams. He has given my visions before through metaphors and even revealed futuristic moments. There are no limits for the Great I Am. Arrived to condo around midnight... Eh, that sounds too pretentious, right? Well ,that's what the sign says... Let's start over. Arrived to my apartment around midnight, and fell right to sleep. From my recollection, I was washing clothes in my utility room, and I had thrown a pair of black gym shorts in my clothes basket. I continued washing the load, but I noticed something out of the corner of my eye. The gym shorts started moving. I immediately backed up but couldn't keep my eyes off of what was happening. Underneath the gym shorts laid a python. I would have never expected a snake in my clothes basket. It was a white and yellow striped Basilisk too but without the horcrux. Some of my spiritual mentors always said color is crucial in encounters from our heavenly Daddy. Before the snake acted, I woke up. Monday morning rolls around. We are having our FireSeeds team meeting, and I talked about my dream. Cord, CEO/President, comments and said that the color of that snake was the portrayal of Satan in Passion of the Christ. Cue the 1980's Hollywood thunder. I had a blank stare and said, "forgot about that one." We quickly moved on and now I am thinking about how I was possessed or something. Not a good spot to be in. I held on to this dream, and called up a few of my dream analysts (you know who you are). I told them of my dream, and then I had my "AH-HAH" moment. God wanted to tell me that Satan will come in the dark of night -- as symbolized by the black gym shorts. He will appear unexpectedly -- as symbolized as a snake in a clothes basket. YES! I figured it out, but wait... Satan is going to attack me when I least expect it? That's nothing new. But for God to reveal it in such a way, this seems it could potentially be a big bite. My advice: dream big. You may not like the end result when you ask God for help, but he makes himself very clear in John 14:13 "And I will do whatever you ask in my name, so that the Father my be glorified in the Son." Four years of communication classes shaped my understanding of verbal and nonverbal cues. I acquired many skills, but not the same skills as Liam Neeson. My Public Communication classes were the ones that tapped in to someone's cognitive and analyzed how a person ticked. After a few classes, you begin to feel unstoppable. It can be dangerous if you let it get to your head. You should never make it obvious that you are examining an audience, manipulating them or acting like you don't know what you're talking about. Maintaining control of your audience is key. Once you lose their attention, you might as well pick the first volunteer in the crowd to take your spot. You have to be able to pick up on the nonverbals. Yawning. Dazed expressions. Lack of participation. Hands on faces. The list is endless. Every audience is different, so you have to play through a list of those endless possibilities and find which ones apply to your audience. After you have diagnosed your "nose pickers", you have to get their hands out of their noses. How do you make that happen, you ask? Every public speaker tends to have their own method of maintaining an audience. I had one professor throw chocolate pieces (literally throw) at us. It worked. Whether it was the sugar or the force behind the throw... doesn't matter. We perked up. A wise man once said, "Great communicators run the world." I'm not going to teach you how to manipulate an audience or provide you with strategery (thanks, Bush). I'm simply giving you advice. I've seen so many people lose their cool in the middle of leading. You can find your own solution to keep your audience's attention, but one thing you can't do is show emotion. If your group is upset at you and disorderly, you cannot give in. The moment your audience sees you break, you lose. You're going to have that ONE GUY who is going to constantly trying to bring you down, and you are going to get irritated. You can't let THAT GUY take control. You will more than likely deal with people with strong personalities, and you have to find the balance in maintaining order verses going off on the eager beaver in the corner. 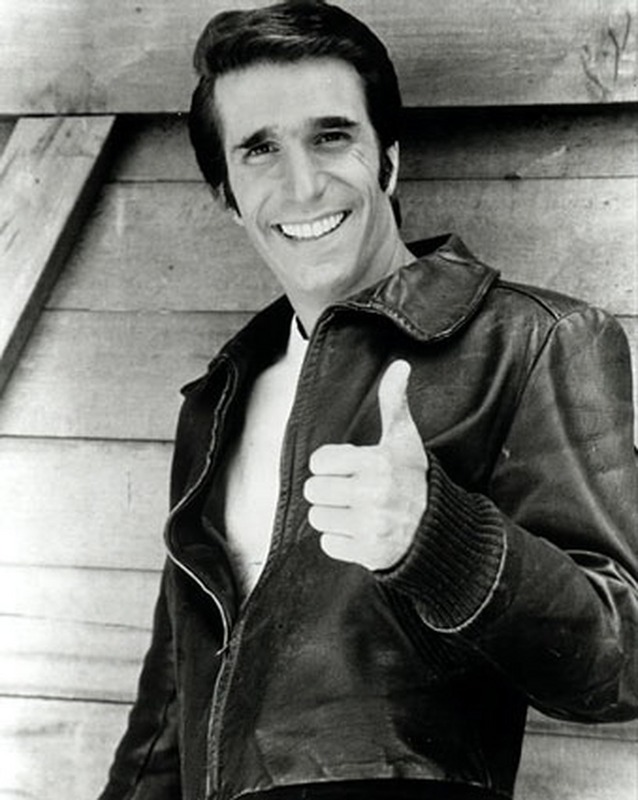 I'm not providing you with the step-by-step process on how to win over your audience, but I am suggesting to just be cool like Fonzie.